Kansas has remarkable stories, but many of them are not widely known or taught in our schools. The Kansas People’s History Project (KPHP) will begin to address this gap by making history present and visible in our everyday lives. Inspired by Howard Zinn’s groundbreaking book “A People’s History of United States” which examined history “from the bottom up,” and the Celebrate People’s History project organized by Josh MacPhee, the KPHP will focus on the creation of a series of screen printed broadsides with text narratives, a comprehensive website, and an exhibition that shine a light on lesser known but greatly influential figures and events from Kansas’s past. The Watkins Museum of History in partnership with five arts-based and educational organizations from across the state (Pittsburg State University, La Casa de la Semilla in Wichita, Bethel College in North Newton, Haskell Indian Nations University in Lawrence, InterUrban ArtHouse in Overland Park and the Salina Arts Center), will collaborate with lead artist Dave Loewenstein, printmaker Justin Marable and artists from across the state to unearth these lost or underrepresented subjects. 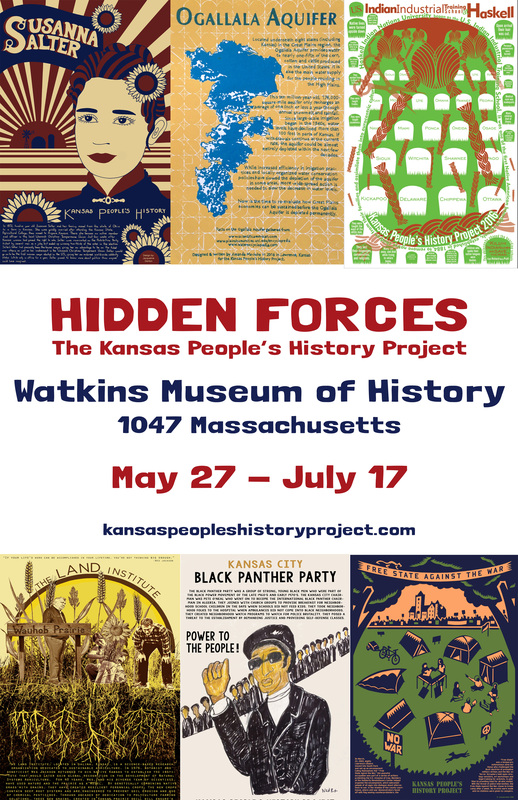 From the many Tribal nations that have called (and continue to call) this place home to the stories of Suffragettes, outsider artists, Civil Rights activists and countless others who have helped shape the story of Kansas, this project will celebrate the integral role these often overlooked groups have had in the making of Kansas history. This project is supported by generous grants from the Kansas Creative Arts Industries Commission and the Mid-America Arts Alliance Artistic Innovations program. Great Idea thanks for the effort.